The story behind Gorecski’s third symphony is well worth reading about as it describes the composer’s desires to find inspiration around the subject of the holocaust. What he discovered instead was the feelings of acceptance and love through the pain and horror. 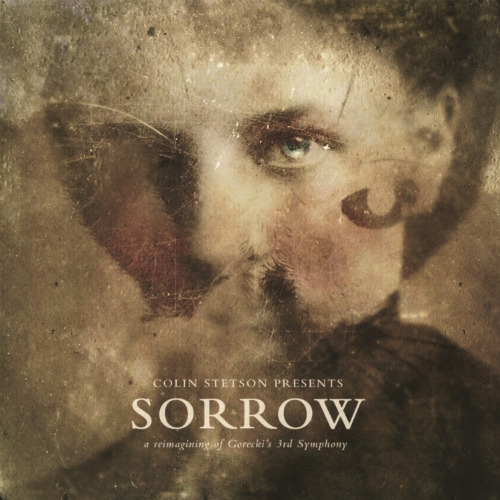 Calling this album Sorrow is – essentially – a misunderstanding of Gorecki’s intention when composing the music, and the reasons for choosing texts that reference love by mothers. That doesn’t mean the music becomes somehow invalid, but it does take on Stentson’s personal interpretation instead, as misguided as that might be. If Stentson sees sorrow in the music then so be it, but he hasn’t radicalised the score enough to justify a 're-imagining' – it is still, without doubt the composer’s score. For all intents and purposes, this is simply a transposition adding percussion in the form of crashes and cymbals, with little re-arranging – cellos and double basses still sound like they are playing the same parts as in the score. Not saying he should do something different, but a ‘re-imagining’ needs to encompass more than just taking the score and performing it. While Stetson adds percussion in the form of a drum kit, the other arrangements still sound like they would with any string orchestra. When you take a Mozart score and play it, you are playing Mozart, when you take that same score and add your own variations, you get Mozart in Egypt, a fantastic album that takes the basic scores and adds Egyptian scale notes to Mozart’s passages and a much more vibrant fully realised Egyptian orchestra. That constitutes both a new arrangement as well as a re-imagining. I struggle to see the point of calling Sorrow a ‘re-imagining’ when it is essentially an arrangement for a new set of instruments. There are moments where the re-imagining takes the form of a freak out jam or the Doom Metal inspired arrangement, but beyond that it’s mostly a re-recording. It’s still a beautiful and inspired re-recording but in all honestly, I still hear Gorecski throughout this recording, not Stetson. In a true ‘re-imagining’ I would hear the artist performing the piece more than I would hear the composer’s notes. When you hear Sonic Youth cover someone else’s song, you hear Sonic Youth! At the 25 minute mark during the lento of movement one, the volume does begin to crescendo back out of its descent with drum rolls, finally rising to a cacophony with slight vocals calls throughout. However, this doesn’t last long and is a mere 2 minutes or so of ‘re-imagining’. With the second movement, the music finally has a stronger feel to the claim of being a rearrangement. What could be an electric guitar plucks chords off to the side, while the saxophones support the vocals over top. Much of the second movement sounds like what you would expect if you are familiar with this work. The third movement is where the re-imagining part of the title finally takes hold. Stetson’s arrangement includes a drum track straight out of Scandinavia’s Doom Metal bands accompanied by big Gothic rock keyboards. 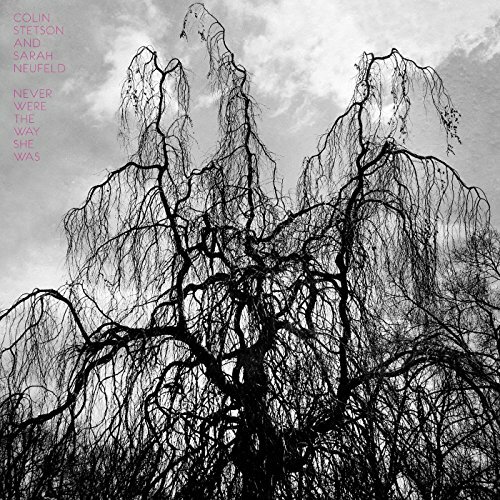 I do think this deserves to be recognised as an excellent recording alongside David Zinman’s Nonesuch Recording with Dawn Upshaw and the London Sinfonietta. There’s a lot of understanding of how the dynamics build between the instruments and the layering of the main theme in the first movement. It can be hard to distinguish certain instruments – for example, the electric guitar doesn’t stand out in a way that you might expect it to; instead it is embedded in much the same way that most orchestral instruments are: not overpowering but servicing the music. Gorecki’s music remains one of the most beautiful and enduring legacies of his country, but Stetson is adding more to the work’s legacy than his own.